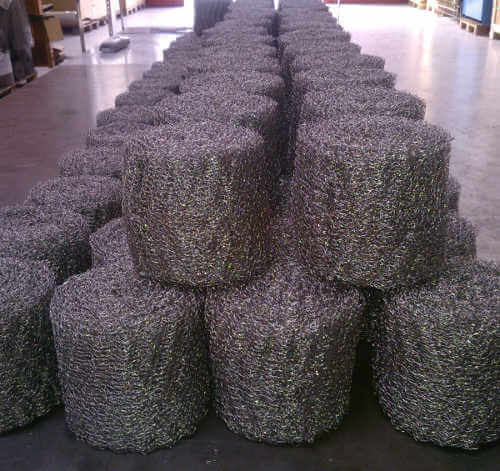 Wire mesh demisters are widely used when a effective separation between liquid and solid phase is very important in order to obtain cheap and efficient industrial processes. 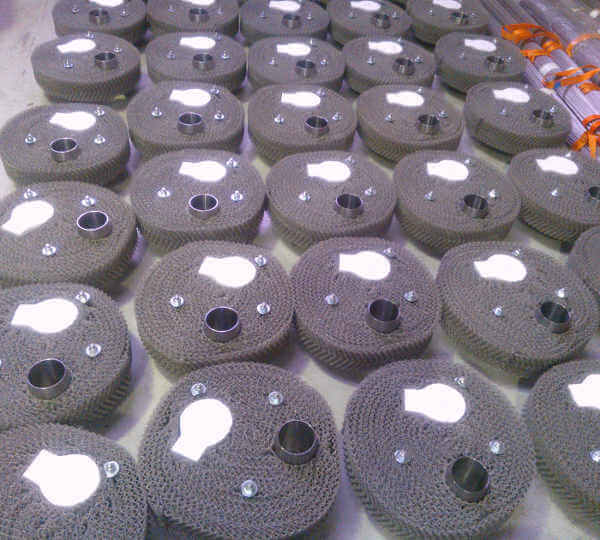 This kind of separators are made by a alveolar structure of wire mesh obtained by the superposition of several layers of a tubular sock. This sock is weaved by very thin wires (usually with a diameter inferior to 0,3 mm) and that allows to obtain a structure with high free volume (usually > 95%), a big active surface with a low density of the mesh allowing a saving about used material and costs. - Easy installation and moving through man holes and small spaces. - High efficiency of the separation process with low pressure drop. - Reduction of the vessel's dimensions with less working costs. - Less costs if compared with other separation methods. 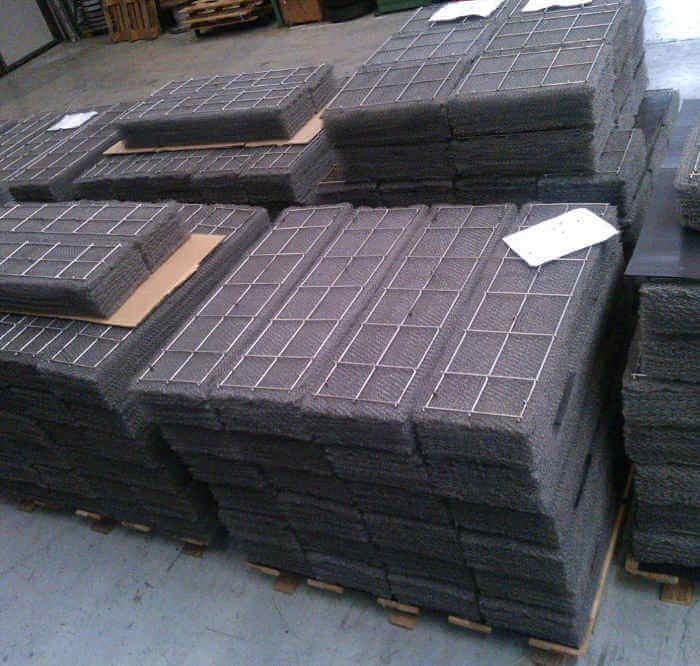 - Support grates used to contain the mesh pad between them. 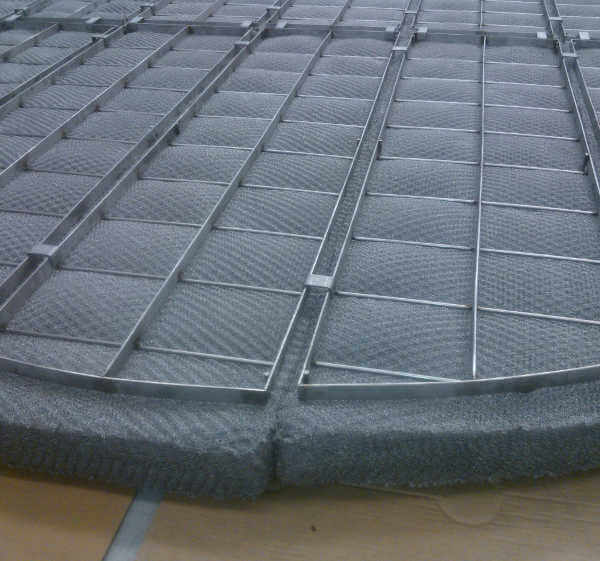 - Containment meshes usually used to contain the wire mesh inside the support grates. - Elements for fixing systems like: L bolts, J bolts, fixing wire. - Superficial treatment: every welded material could be treated with a passivation process in order to eliminate all the residues of welding and to avoid a corrosion effect due to an aggressive environment.